Cloud Storage services are now an important part of our life. It allows us to take backup of important data and access those files on the go. Taking the backup of your file on external hard disk is another way but cloud storage ensures data safety. Your hard drive may fail, but cloud storage services ensure data backup to avoid any risk. If you have not started using cloud storage services, you should start now. In this article, I am listing 5 best cloud storage apps for you. All these apps allow you to take backup of your phone’s data to cloud storage and access anytime you want. All Cloud Storage services also offer mobile apps for the different platform. These also allow you to take backup of your photos, videos and important data. If your phone has less storage, you must start using any of the good cloud storage app. 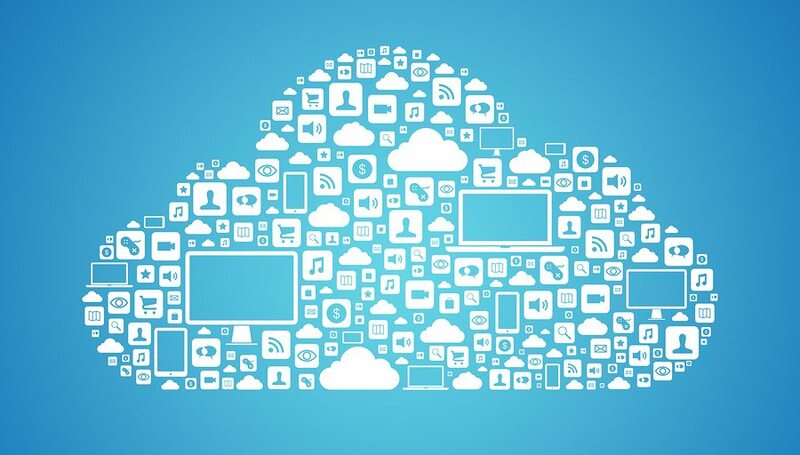 In this article, I am listing 5 best cloud storage apps for you. All these apps allow you to take backup of your phone’s data to cloud storage and access anytime you want. Google Drive is the most popular cloud storage service used by millions of users. It is linked with other Google services including Gmail, Docs, Slides and more. So, users are already using Google Drive if they are using any of the linked services. If you are using an Android phone, you already have Google Drive app on your phone. For iOS, you can download the Google Drive app to access your files. Google Drive allows users upload files, manage files in folders and edit docs. Users get 15GB for free with unlimited photo and video backup via Google Photos. But for files, the limit is 15GB. If you think you need more data, you can upgrade to 100GB ($1.99/month) or 1TB ($9.99). There are more options for high data plans. Dropbox is a very popular cloud storage mobile app available on all leading platforms. Your files will also be accessible from the web interface and mobile app as well. You can also share your files easily with your friends just by creating a link. It offers auto-photo upload, easy file sharing option, and support for Microsoft Office. You can also send files to other people using Dropbox. It offers 2GB free cloud storage with the option to upgrade. You can select 1TB for $9.99/month or $99.99 per year. If you want to use Dropbox for business, you have different pricing. Box is another nice cloud storage service. We can take backup of our important files in our cloud storage account. Like other cloud storage services, it also has smartphone apps that allow us easily share files from our smartphone to the cloud server. It offers 10GB of free storage when you create a new personal account. But you can avail 100GB data for $10/month. There are different plans for business users. Microsoft OneDrive is the cloud storage service by Microsoft. It was initially launched as SkyDrive and later renamed. The company has integrated it with all outlook and other services. Users can take backup of their important files in this and then share it with friends. Files are also accessible from anywhere. If you use outlook.com, you already use SkyDrive. It offers 5GB of free cloud storage but you can upgrade to 100GB for $1.99. OneDrive storage. In every pro plan, Office 365 subscription is included. Amazon Drive is another popular cloud storage service that offers additional benefits. It is good for those who use Amazon Prime. If you use Amazon Prime, you get 5GB of free storage with unlimited backup for photos and videos. You can always upgrade to unlimited storage for about $60 per year. If you do not have Amazon Prime, you can avail 5GB of storage and unlimited photo backup will run you $12/year. MediaFire, Mega, Tresorit are few other notable cloud storage apps. Cloud storage apps on phone always keep storage free. Nowadays, most of the phones come with a Hybrid slot. So storage expansion is not possible with two Sim cards. This is the reason why you should start using any of the listed cloud storage apps. Use these apps and share your experience with us via comments.